Tenet's board of directors faces major obstacles to either selling the company outright or selling off its three main business unit in big blocks. Shares of Tenet Healthcare Corp. rose sharply in after-hours trading Wednesday amid reports that the troubled hospital chain is exploring strategic options, including the possible sale of the company. 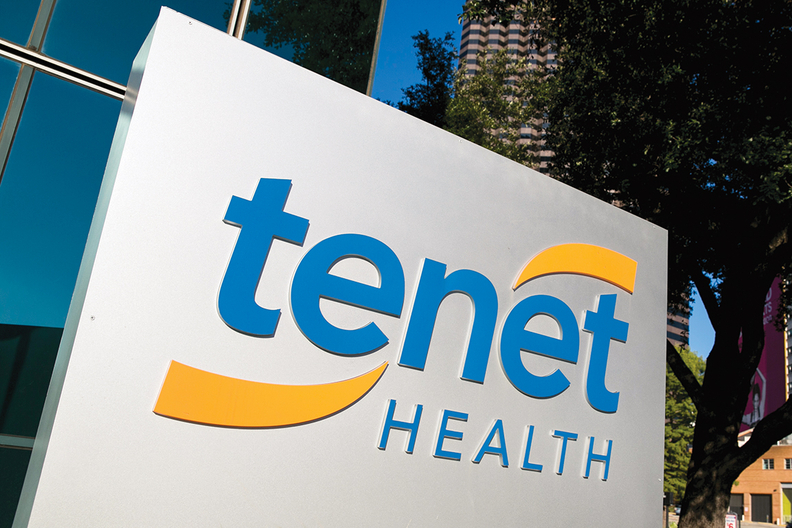 The Wall Street Journal reported Wednesday afternoon that Tenet had hired bank advisers to review its strategic options. Tenet spokesman Dan Waldmann said the company does not comment on market speculation. At an analyst healthcare conference last week, outgoing CEO Trevor Fetter said the Tenet board and its investors should debate whether Tenet should be sold, broken up by business line or continue to divest a handful of hospitals. Tenet is selling eight more hospitals to improve operating margins and reduce a debt load of $15 billion. Management is under pressure from Tenet's largest investor, Glenview Capital Management, to accelerate turnaround efforts. Glenview owns 18% of Tenet. Tenet shares jumped $2.31 in the first 45 minutes after the close of trading Wednesday. Before the news report, Tenet's shares had lost about 5% Wednesday to close at $16.24. Tenet is seeking a new CEO to replace Fetter, who has announced he will leave in March or earlier if Tenet finds a successor. The company lost $56 million in its second quarter and is having trouble getting traction with an operating turnaround. When Tenet announced Fetter's upcoming departure, the health system said it was revamping its board and continuing with a hospital divestiture program. As a precursor to Wednesday's news, Fetter said at a Baird healthcare conference that Tenet's investors should debate whether Tenet should be broken up through the sale of some or all of its three main businesses: hospitals, ambulatory surgery centers and revenue-cycle software. Tenet is the nation's third-largest investor-owned hospital company with 77 hospitals.